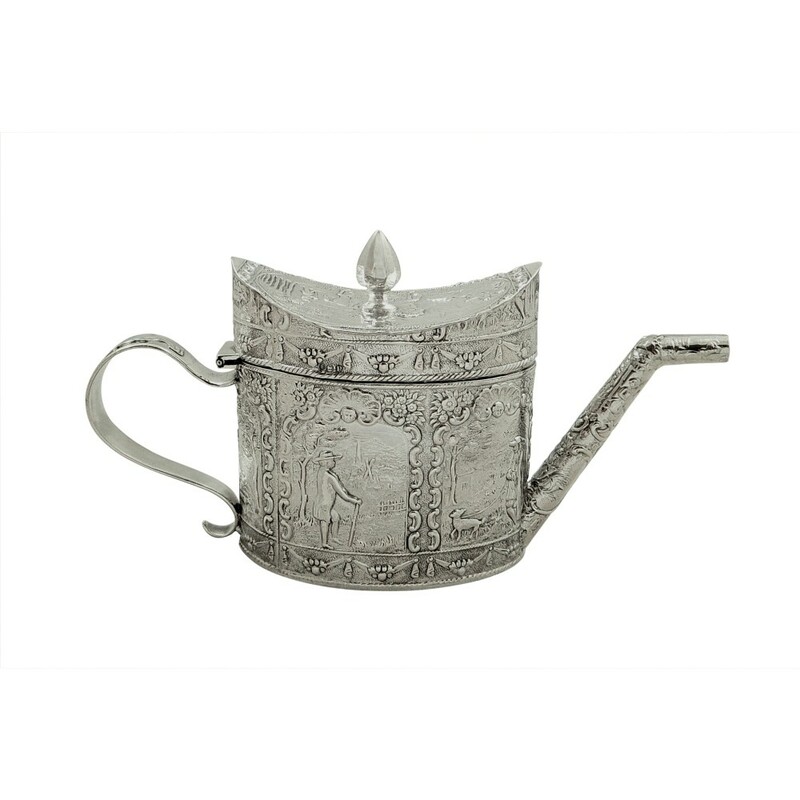 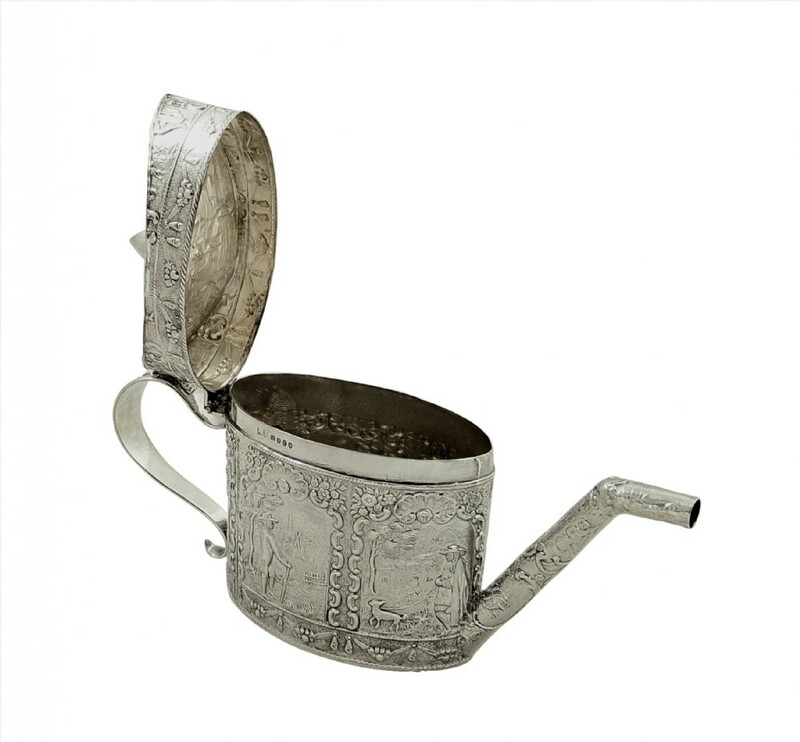 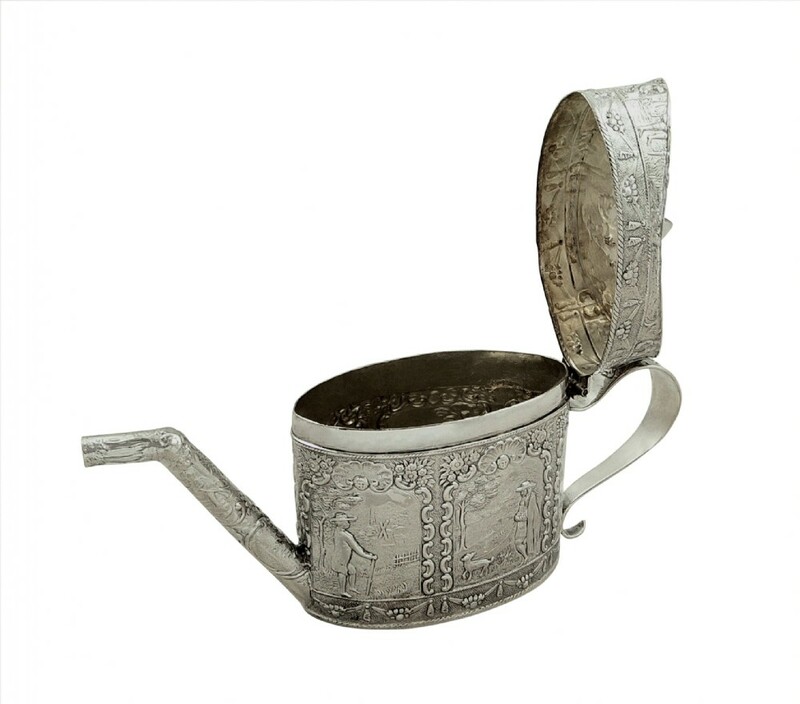 This is a super antique Victorian sterling silver miniature teapot measuring 6 3/4" (17 cms) across from the handle to the tip of the spout x 2" (5 cms) wide x 4" (10 cms) tall to the knob on the lid. 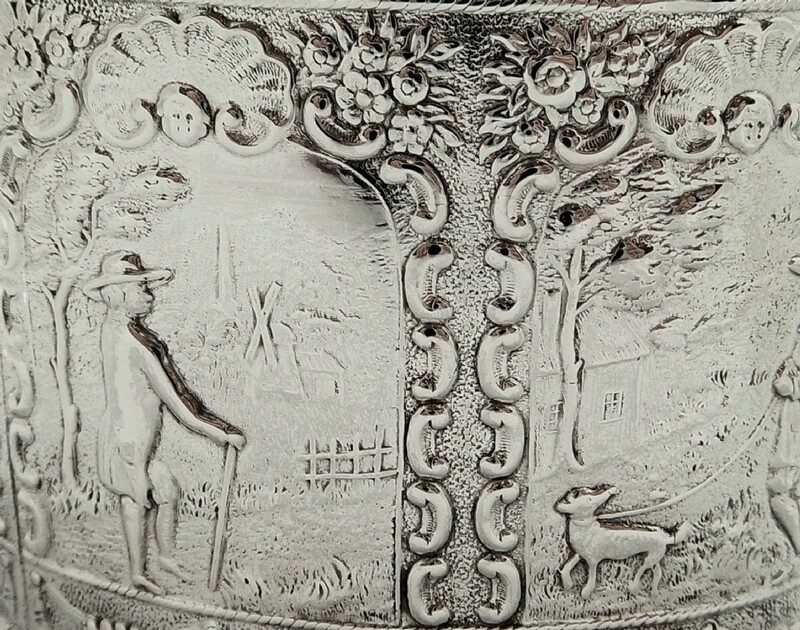 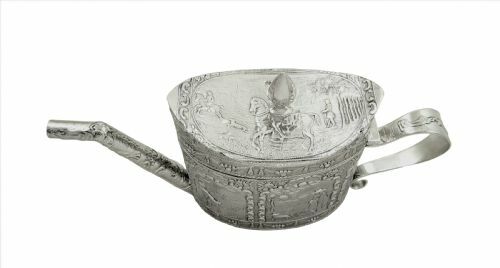 It's in superb condition with no damage and is decorated with various scenes around the pot and men on horses on the lid. 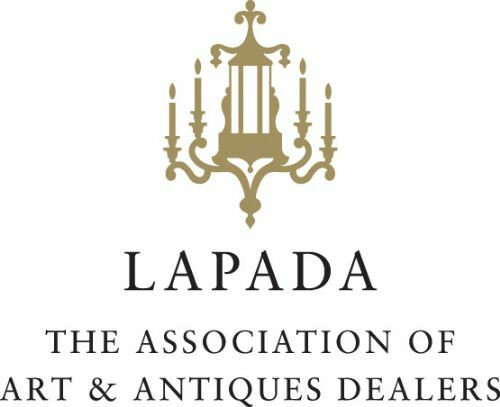 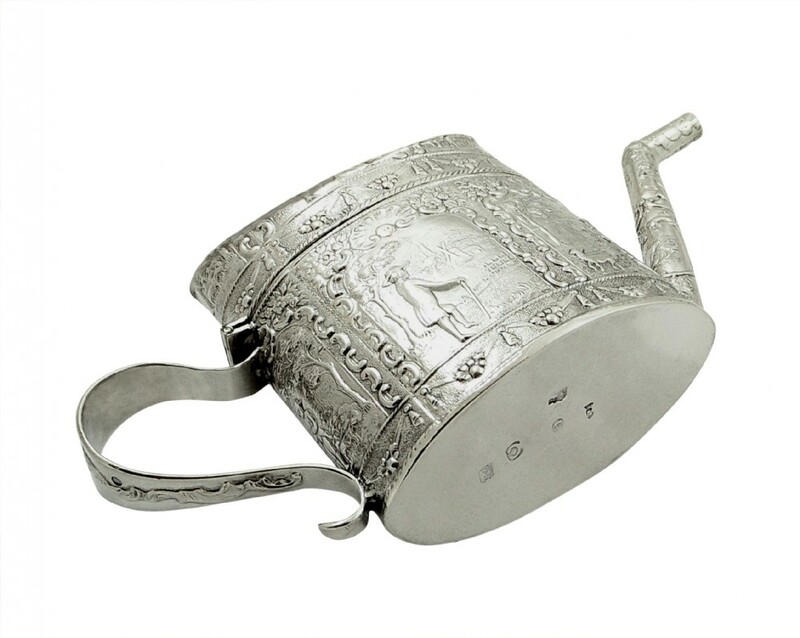 It's hallmarked for London 1890 with the silversmiths mark for Louis Landsberg who was known for his top quality imported items and you can see the original mark underneath. 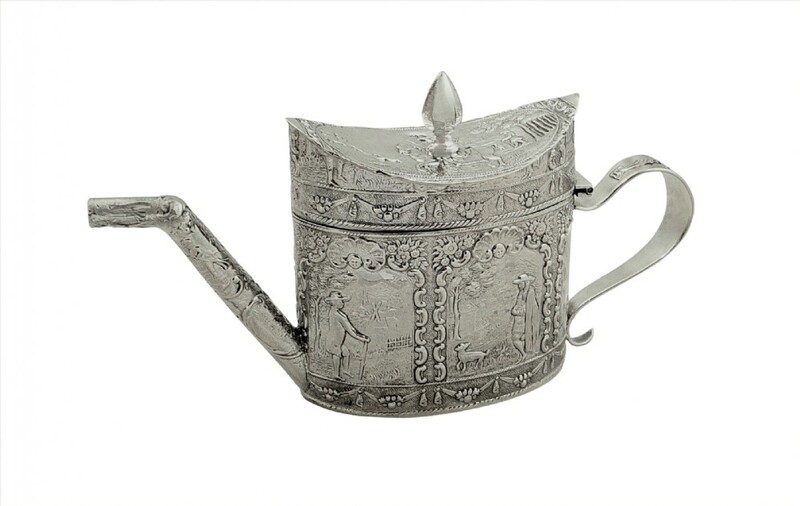 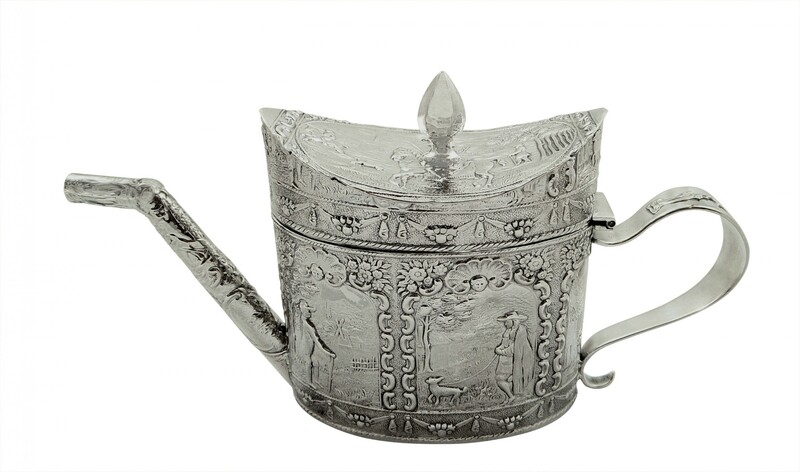 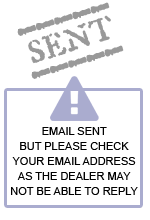 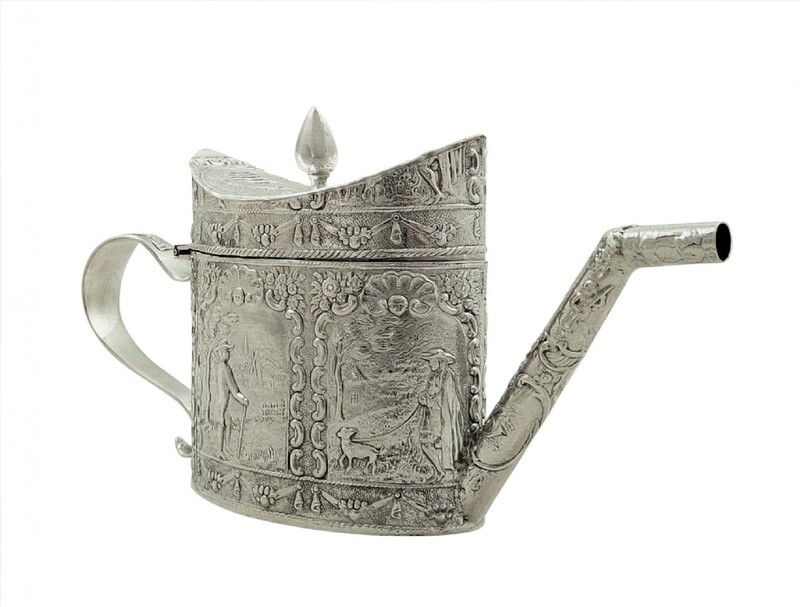 The Antique Victorian Sterling Silver Miniature Teapot 1890 has been added to your saved items.